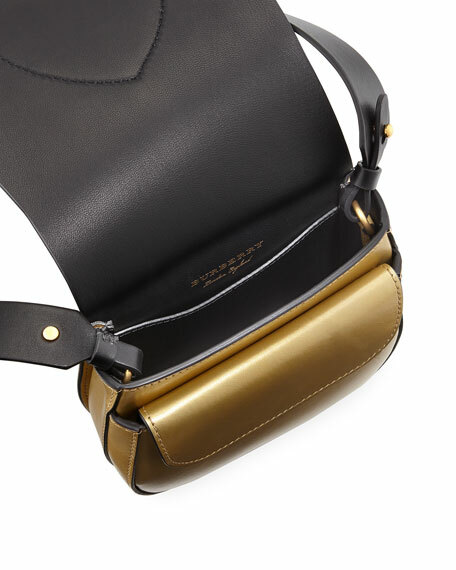 Burberry structured mini satchel in metallic leather with hand-stitched details. 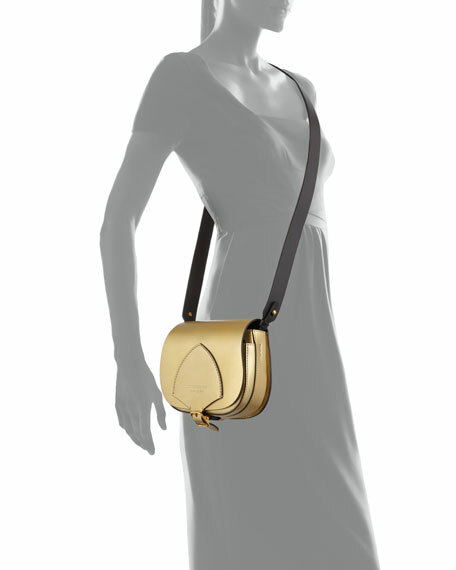 Flap top with nonfunctional engraved logo buckle with loop closure. 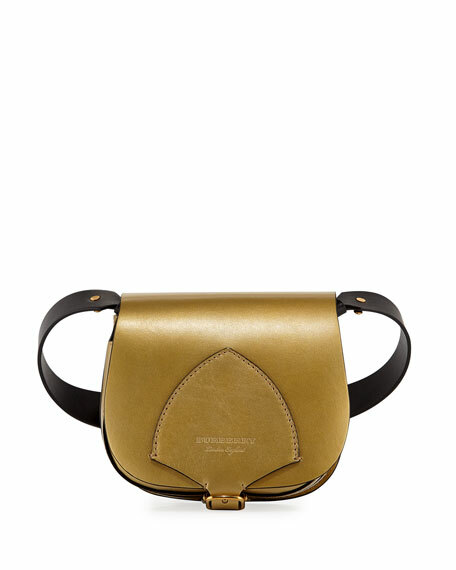 Exterior, flap pocket with magnetic closure. 7"H x 2.4"W x 5.7"D.
For in-store inquiries, use sku #2371433.